Add warmth and rustic design to your own bedroom with the Jax mirror. Dressed in a warm, smoky walnut finish, this mirror features rich distressed woodgrain detail and a sleek wood panel design in its trim. This mirror will be a wonderful addition to your bedroom. Presenting the Jax bedroom collection by Elements. This charming collection updates farmhouse style with contemporary flair. 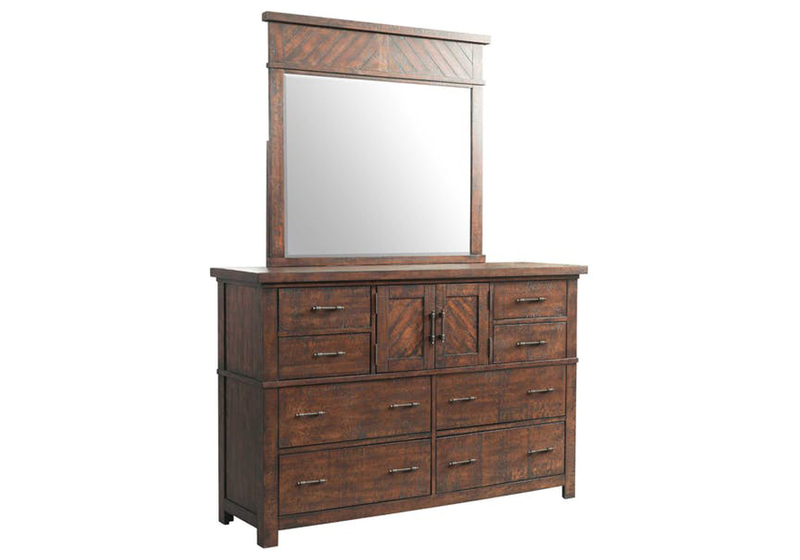 The collection features a smokey walnut finish, clean designs, and an angled inlay motif. The collection contains pieces for the bedroom, living room, and dining room. For more information about Elements’ warranties, click HERE. 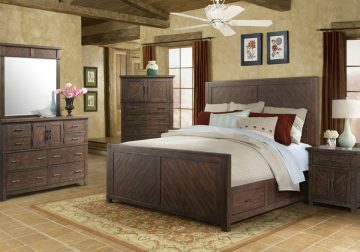 Elements International is a dynamic furniture wholesaler that offers every style from traditional to contemporary in bedroom furniture and more to retailers across the country. They take pride in providing our customers with competitive prices and quality products while offering excellent customer service. Considered to be one of the fastest growing bedroom companies in the country, Elements hosts a powerhouse of experts with twenty plus years of experience in the furniture industry. This gives them the skill necessary to provide their customers with top of the line furniture and incomparable services.